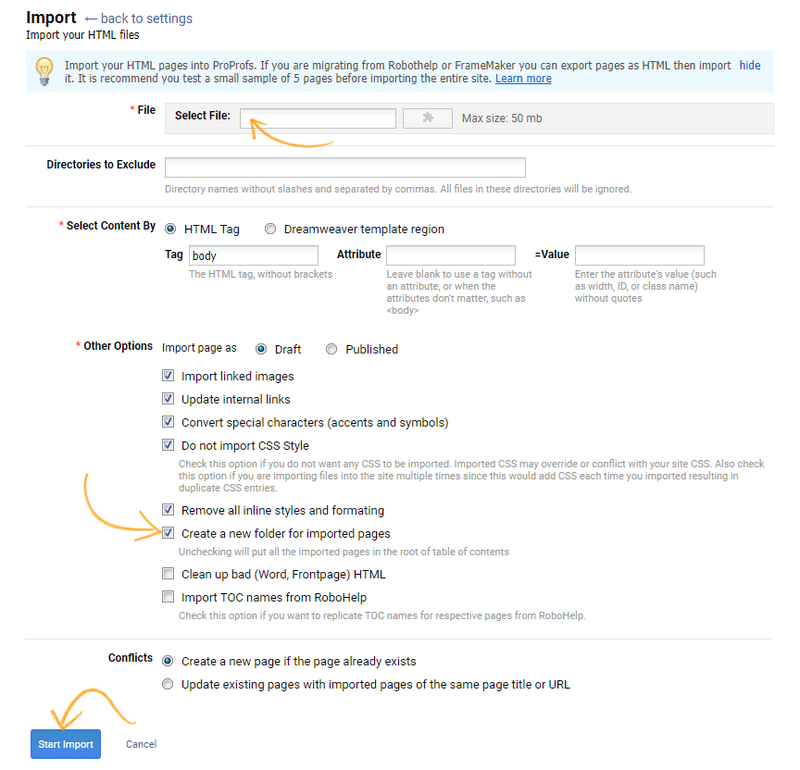 Follow this guide for duplicating an existing site. You may want to duplicate a site if you are creating a similar knowledge base or if you want to translate the site into another language. However, the site branding will have to be configured manually for each site. Log in to your account (as an administrator) and click Settings. Then click Export Site button. 5. You will be prompted to download a zip file. Click on Download File and save it to your computer. If you haven't created a new site yet, follow these instructions for adding a new site. Select the new site you created. Browse for the zip file. Uncheck Create a new folder for imported pages. Your pages will be shown in your TOC just like how it was arranged on the original site. Follow this guide for cloning an existing site. You may want to clone a site if you are creating a similar knowledge base or if you want to translate the site into another language. However, the site branding will have to be configured manually for each site. Here are the steps to Clone a site. Click the Clone/Copy Icon, marked by the arrow in the screenshot. 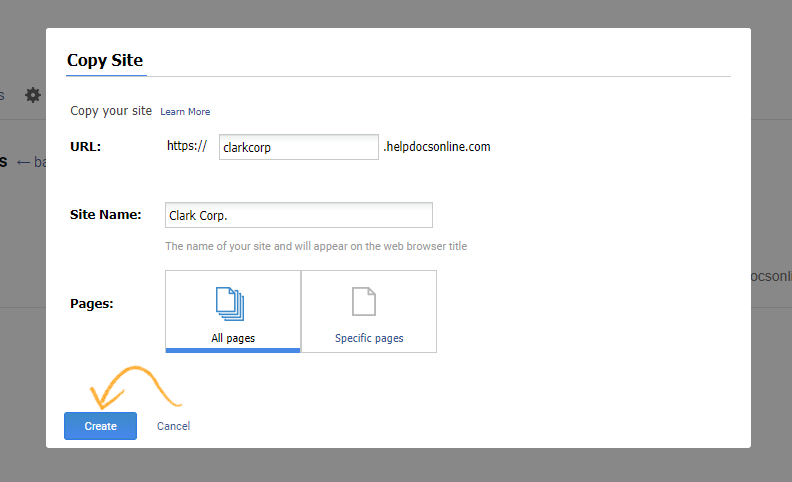 A pop-up will appear, Fill in the desired URL and the name of the Clone site. Select the pages you wish to clone. You can select 'all pages' or chose specific pages. Click Create to complete the process.